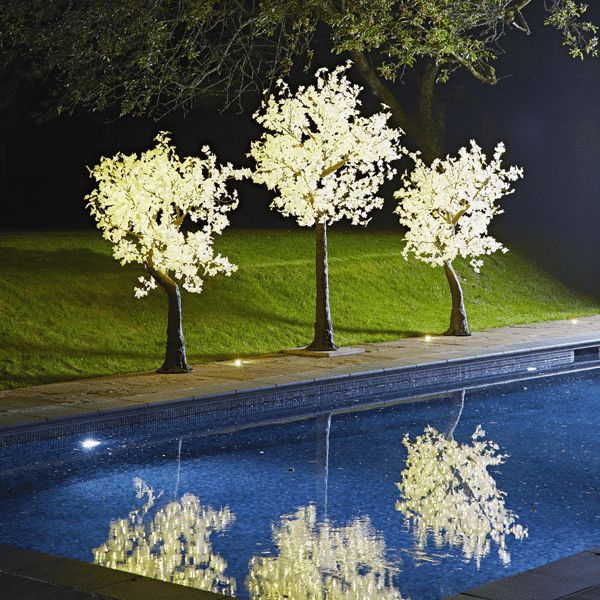 Our cherry trees’ energy efficient LEDs are nestled within the cherry blossom petals. 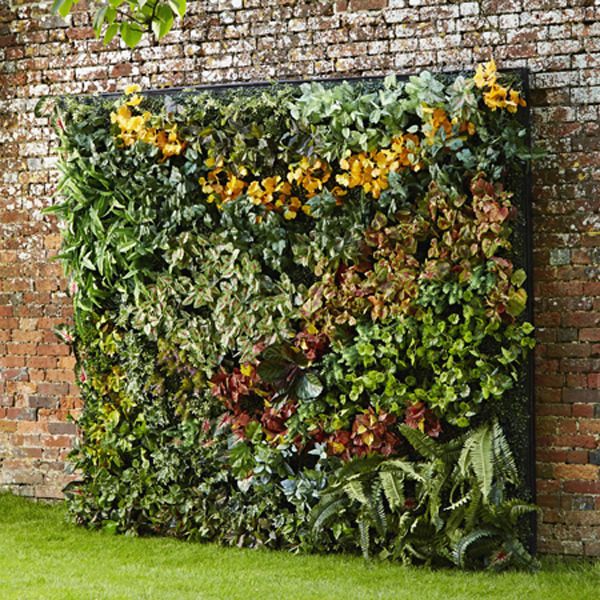 Use them all year round indoors or out to add a touch of magic to your house, garden or commercial space. 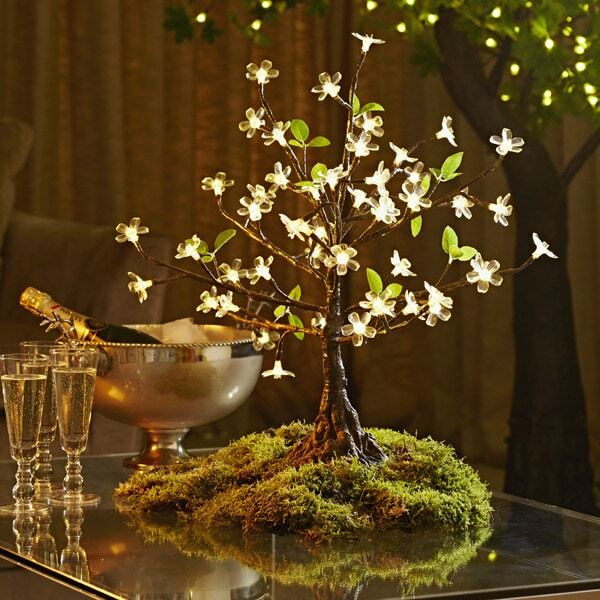 Mini trees complement flowers and candles for a stunning table display. LED lights are warm white. They are 55cm in height and 60cm in diameter. 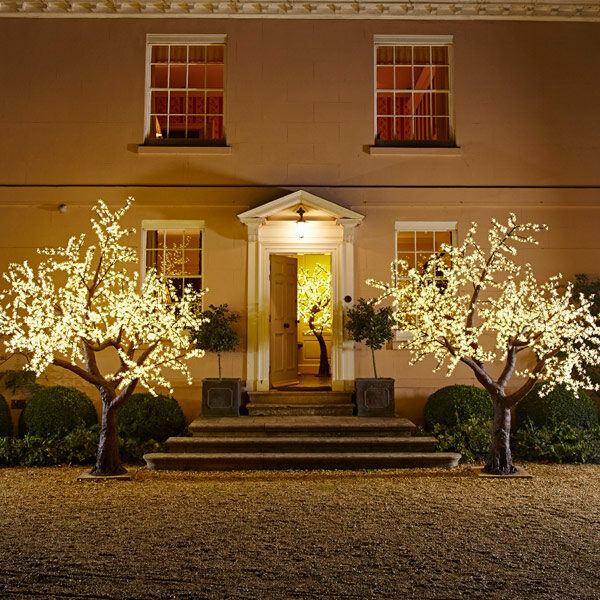 Choose from mains powered and or battery powered trees. *all our trees have CE/BS/UL/RoHS certification, the transformer and cable is rated to IP65 international standards. Delivery cost is £12 per tree. Please contact info@twilight-trees.com for a quote. If your goods do not arrive when expected please contact us immediately. Should delivery be refused and items returned to us then all costs incurred will be the customer’s. 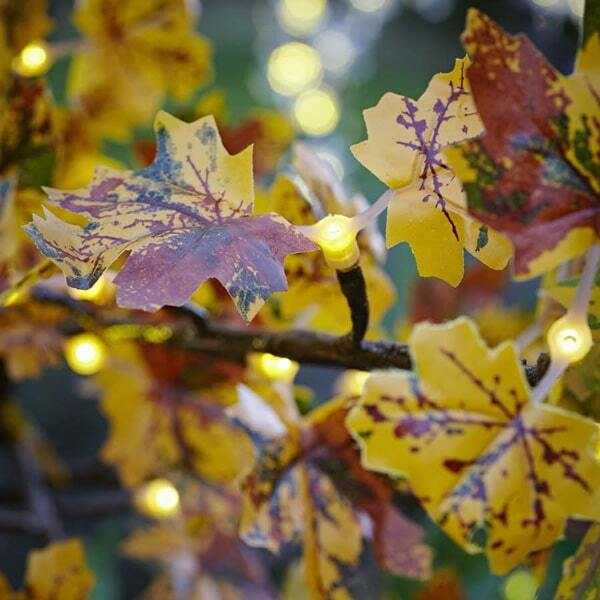 The trees have an electrical warranty of 1 year and during this time if one LED goes we will repair or replace the whole branch. You’ll need to send it back to us. All our products are checked before dispatch however please inspect your items on delivery. If there is a problem with your order email us info@twilight-trees.com within 48hrs of receipt. After this time we will presume the order is complete. Goods cannot be returned after 14 days and we must be advised in writing at info@twilight-trees.com before items are returned. Any costs and damages to the items being returned will be the customer’s cost. We reserve the right to reduce the refund owed in the case of damages or loss of items. 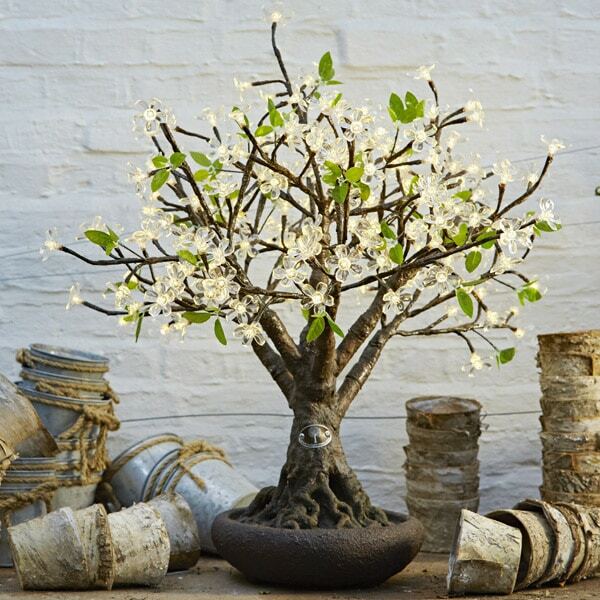 The Bonsai cherry tree is perfect for creating a small chic focal point. LED lights are warm white. Our LED trees come boxed and need to be self-assembled. They come with simple instructions and are straightforward to put together, however, should you wish us to do it for you please enquire. 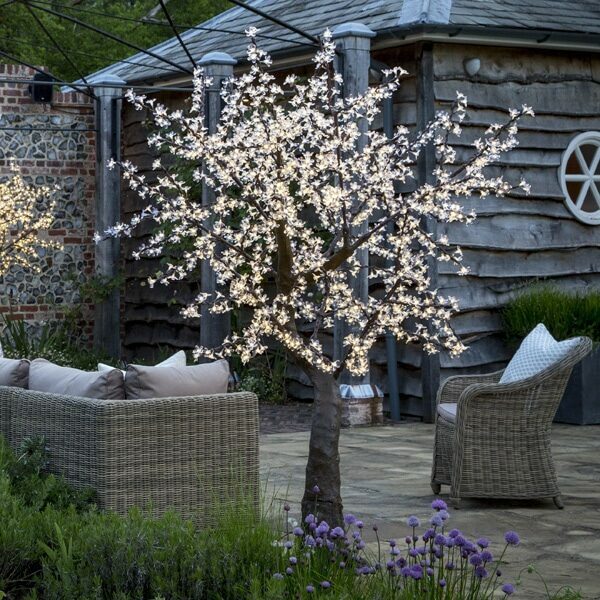 1.5M trees are fantastic in a pot or as a serious statement in the centre of a table. 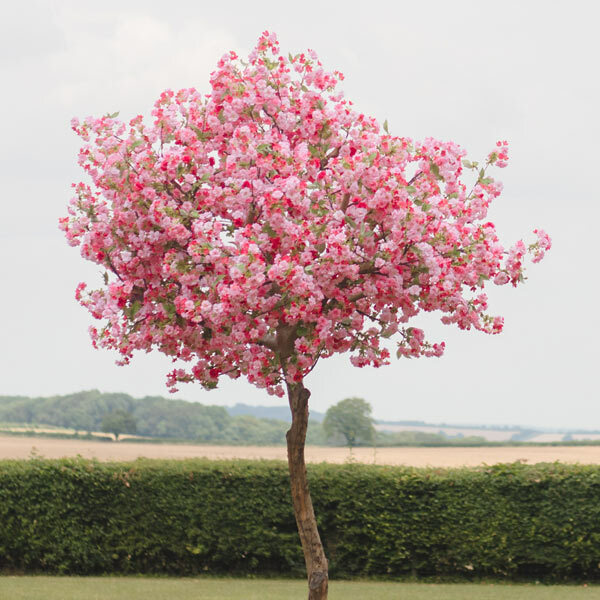 Our trees are made with a realistic resin trunk with individual branches that slot into place. They have a working temp of -30 C to 60 C. The best bit is that LEDs last longer and draw less energy than any other light source, making them incredibly efficient and environmentally friendly. Delivery cost is £25 per tree. 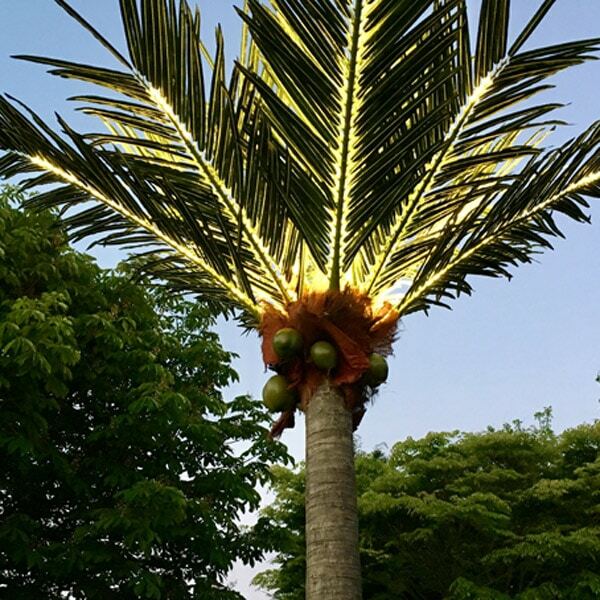 The trees have an electrical warranty of 1 year and during this time if one LED goes we will repair or replace the whole branch. You’ll need to send it back to us. Once out of warranty you may buy new branches from us. 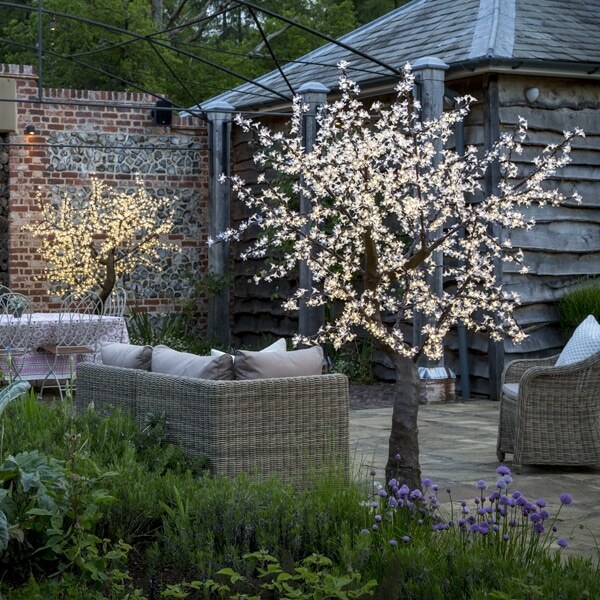 2M trees are ideal on a roof terrace or for framing an entrance. Delivery cost is £35 per tree. 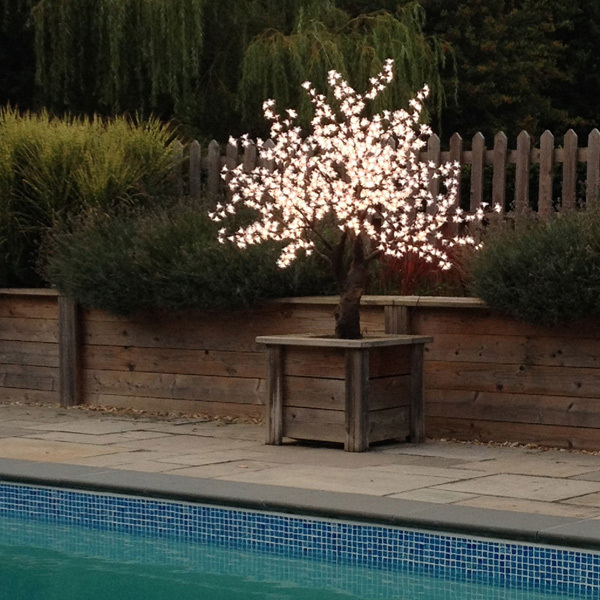 Lollipop trees are perfect for adding height to a venue without taking up too much space, the LEDs start from 1.6M. Delivery cost is £40 per tree. Grande trees are significant in size and make a serious statement, amazing on their own but make an exceptional orchard. Delivery cost is £90 per tree.